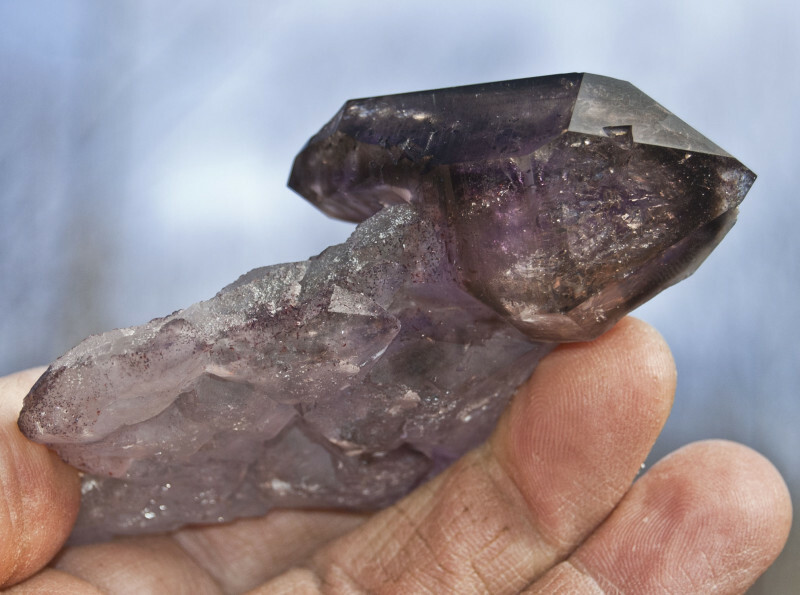 This is a unique Smokey Amethyst from the actual,(now illegal) Brandberg Mountain. 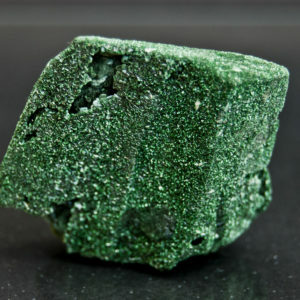 It is a double terminated crystal that starts geometrically typical and becomes tabular at its attachment point. 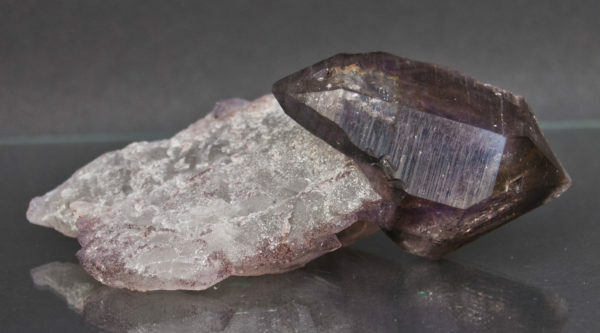 It is attached to a semi-opaque, “ellestial” fully terminated crystal with Amethyst, Smokey and Hematite (red) colors throughout. 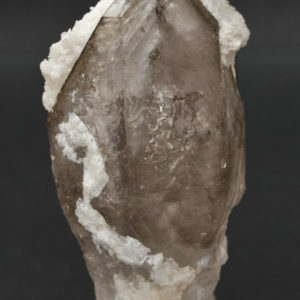 The clearer crystal has small moving water bubbles within. 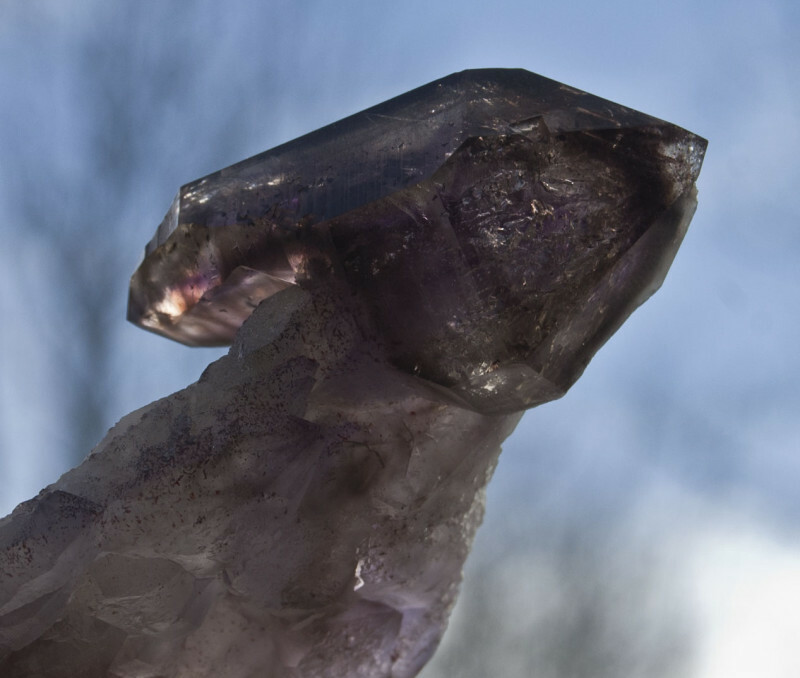 The crystal points and edges are flawless, some parts are glassy and others dulled. I found this from an old collection in Uis Namibia.